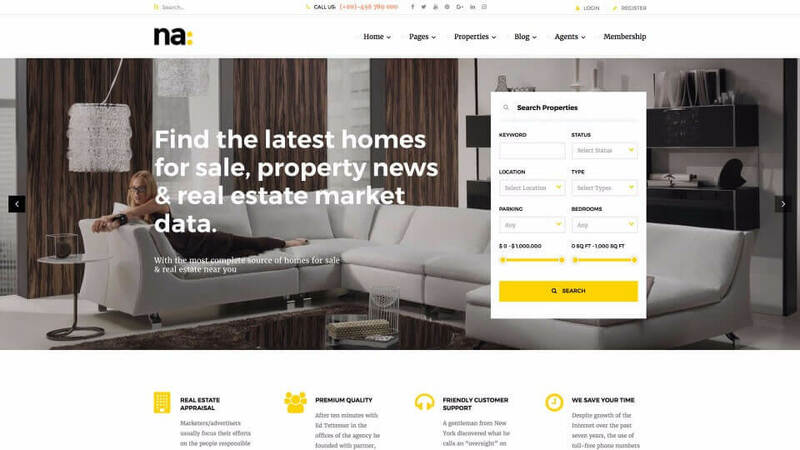 This small business website has advanced search criteria (not shown) allowing you to search by price range, square footage, room count, etc., plus an appointment calendar that allows the realtor’s clients to schedule showings. 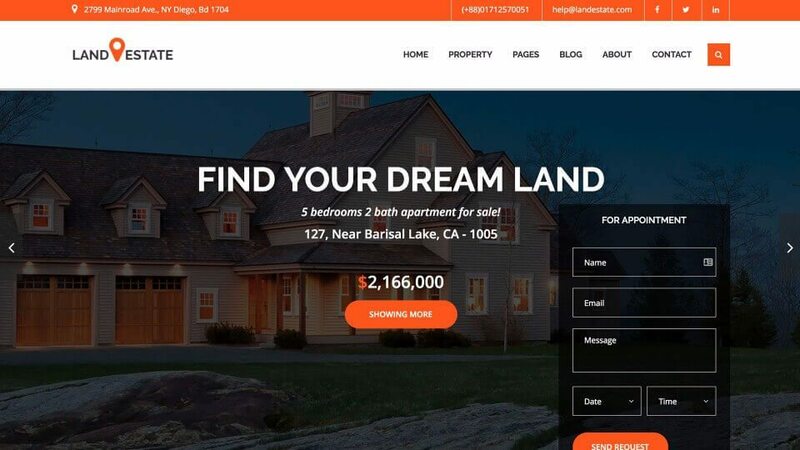 The design for this real estate website is meant to appeal to upscale clients. Advanced search functionality allows site visitors to search for properties using keyword, status, location, property type, number of bedrooms, price and square footage.